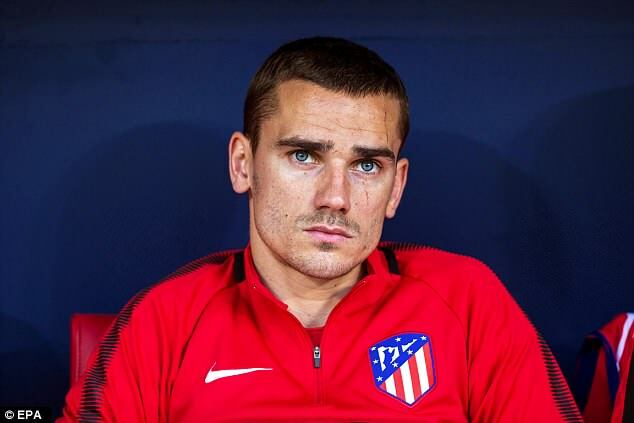 Atletico Madrid striker, Antione Griezmann has expressed his desire to win this season’s Ballon d’Or award. Recall that Griezmann was shortlisted for the 2018 Ballon d’Or last month. The 27-year-old, while admitting that there are other players who can win the Europe topflight individual prize, stated that he hopes to win the award. Griezmann stated this afollowing France’s 1-0 victory over Uruguay on Tuesday in an international friendly encounter. “I want to win it [Ballon d’Or] too,” Goal quoted Griezmann as saying after France defeated Uruguay. When asked if he felt obsessed with the prize, Griezmann responded: “No that is a problem with France. “People there do not like when you seek something for yourself individually, but I’m proud to be there and hopefully I will win it. Griezmann had called for the Ballon d’Or to be given to a member of the France 2018 World Cup-winning team. The France international has been impressive so far this season, scoring six goals and assisting five for Diego Simeone’s side. Griezmann will hope to lead Atletico to victory when they tackle La Liga league leaders, Barcelona at home this weekend.